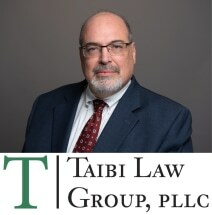 At the Taibi Law Group PLLC in Durham, North Carolina, we offer exceptional representation in a variety of practice areas in order to help you with the serious and complex legal matters affecting your life, your livelihood, your business and your future. Serving clients throughout The Triangle region, our law firm has earned a reputation for being one of the top in the area for individuals, families and business owners seeking the most favorable outcome possible for their situations. For those dealing with personal injury and workers' compensation claims, we promise to fight hard on your behalf to protect your rights and entitlements while helping you secure the finances you need to support yourself and your family when you can no longer work. Whether your claim is the result of a motor vehicle accident caused by someone else or an unfortunate mishap at work, we will stand beside you throughout all legal proceedings, and we have recovered millions of dollars in settlements and awards for our plaintiff clients. For business owners facing complex legal disputes involving fraud, breaches of contract, torts and other serious matters, including business valuations and division during divorce, the attorneys at our law firm promise to work directly with you in order to help you resolve your matter as quickly as possible so that you can focus on your company. In addition, our law firm offers unmatched support in all areas of tax law, and we can help you resolve your issues with the IRS and the North Carolina Department of Revenue to obtain the relief you seek for your matters involving levies and garnishments, audits, innocent spouse relief, and more. In all cases, the attorneys at the Taibi Law Group PLLC are fully committed to you and your needs and doing whatever is necessary to see you through your difficult and uncertain time. To begin receiving the benefits of decades of legal experience from a local attorney you can trust, you can contact our law office or visit our website to schedule a free initial consultation.